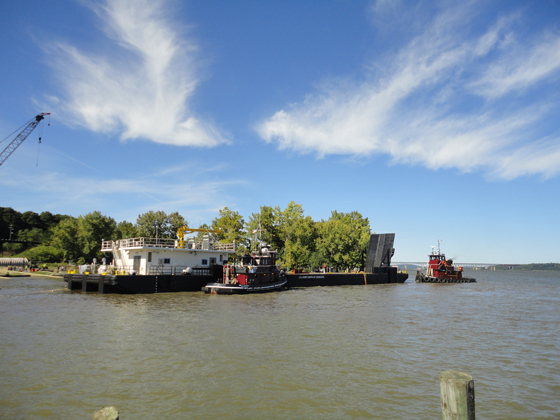 The Snag Barge was built for the Corps of Engineers, Memphis District for use in the support of the navigation and maintenance mission on the Mississippi River system. 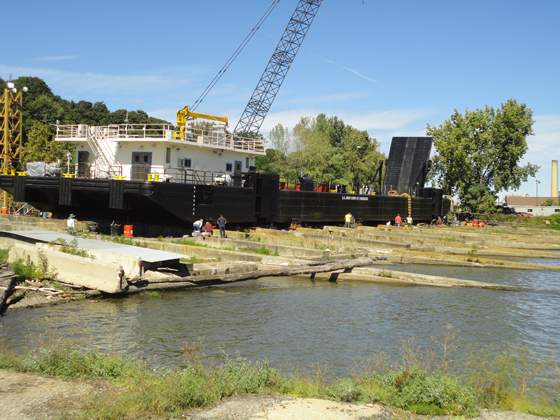 This project entailed the design and construction of a crane barge for the Memphis District of the Army Corps of Engineers. 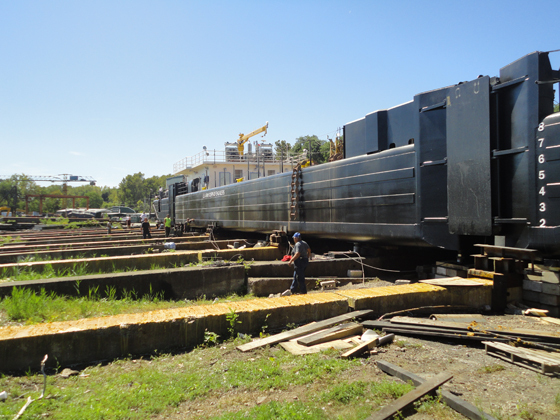 The barge will provide a safe and effective means of removing snag during river bank revetment operations on the Mississippi River System. 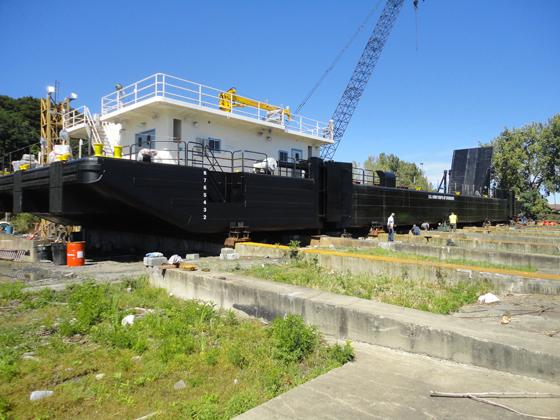 The vessel will carry a LinkBelt LH 218 crane, as well as up to 8 Caterpillar bulldozers. 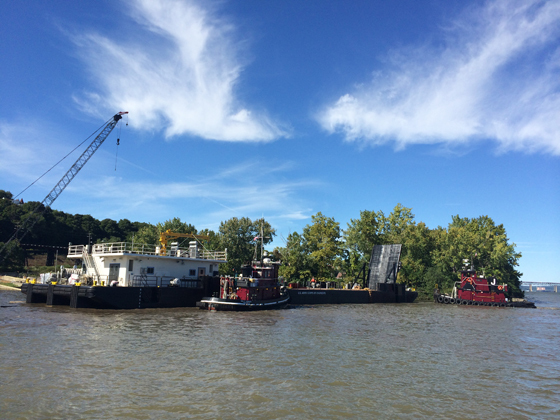 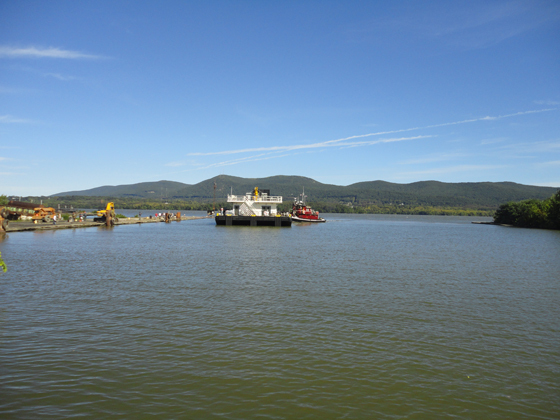 The barge is set to leave the Newburgh waterfront in November 2014. 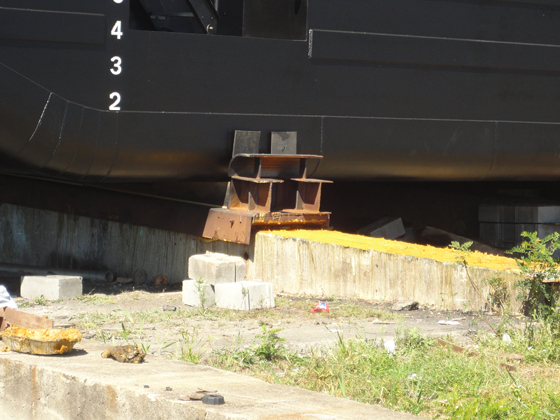 The vessel is 200’ long x 50’ wide and weighs over 1,400 tons.